I discussed the role of robots and AI in the hospitality industry at the Hospital Innovation Planet Expo in Madrid (Feb 20, 2019). Here’s a short snippet. Thanks to the BU Collegian for publishing a profile on me and my work (Jan 2019). 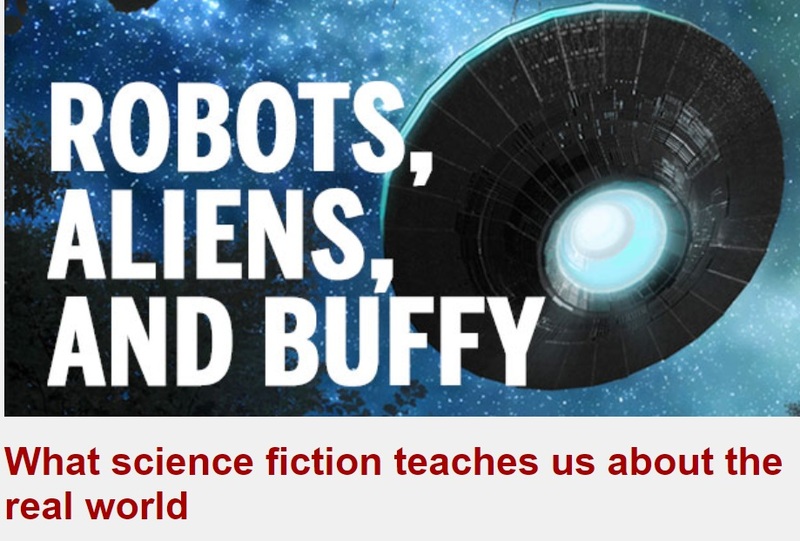 Boston University’s College of General Studies highlighted the work my research assistant and I are doing on my forthcoming book about robots. I presented at WGBH's BostonTalks: Robots on 11/15/18. My Tamagotchi also made an appearance. My talk starts at 36 minutes and 30 seconds. Heather Hughes, Kate Becker, Ellen Goldstein, Daniel Hudon, and I read our work, James Miller provided eye candy, and Harvard astrophysicist Jonathan McDowell answered audience questions during the Celebration of the Cosmos. The event featured space poetry, deep thoughts about the universe, galactic art, and beer. Thanks to the Somerville Arts Council for awarding me a fellowship for science writing and for supporting this event. I had a blast (sorry, can’t help myself) on CBC’s “The Current” talking about #SaveOppy and why we’re so attached to the Opportunity rover. Read the accompanying article or click on the link within it to listen to the interview. Here’s the interview transcript. Thanks to WGBH for having me on to talk about dystopian fiction for the Great American Read series. Have you ever wondered if your favorite dystopian novel could become a reality? Our next Great American Read: Beyond the Books Facebook Live discussion unpacks the rise of dystopian fiction and look at how current events and politics influence its popularity. I participated in a conversation about sci-fi at the WGBH studio with some awesome local writers (8/1/18). What happens when you bring the lab into the library? At the intersection of books and brains, our next Great American Read PBS Facebook Live unpacks the relationship between science and storytelling. Massachusetts Institute of Technology (MIT)'s Thomas Levenson, Boston University's Joelle Renstrom, author and Radcliffe Fellow Kaitlyn Greenidge, and Meredith Goldstein of The Boston Globe sit down with WGBH Science Editor Heather Goldstone to explore how science fiction can shape readers' perceptions of the people behind the beakers. I gave a talk at Boston HUBweek's Future Forum on Oct 13, 2017 called "Friends or Foe: How Culture Impacts Our Views of Robots"
I did an interview with John Fuselsang on Sirius XM's "Tell Me Everything" about my article "If I Only Had a Brain: How AI Thinks"
I talked to WBAL / Maryland's Morning News about my article "Can Robots Make Moral Decisions? Should They?" I had a great time talking to the KMSU's Weekly Reader about Closing the Book: Travels in Life, Loss, and Literature, as well travel, science fiction, and more! I did a radio interview with WBAL / Maryland's Morning News about my article "Robots Are Taking White-Collar Jobs Too." Featuring local writers Gila Lyons and Laura Kiesel and special musical guests Paper Waves. Featuring local authors Becky Cooper and Sally Thelen. Closing the Book: Travels in Life, Literature, and Loss is a Small Press Distributor's Handpicked book of the month! Closing the Book: Travels in Life, Loss, and Literature is a New Pages Editor's Pick. Joelle was on Dr. Michael Harris's mind/body radio show talking about the events that led to the writing of the book.